if you know me in real life, have read my blog for any length of time, or even just stumbled upon our little nook of the www today - i'm pretty sure you could gather that i love dressing my sweet girls. 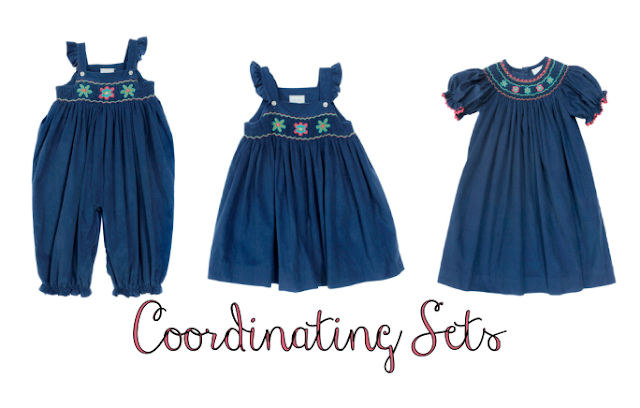 i love all things smocked, monogrammed, and of course coordinating! 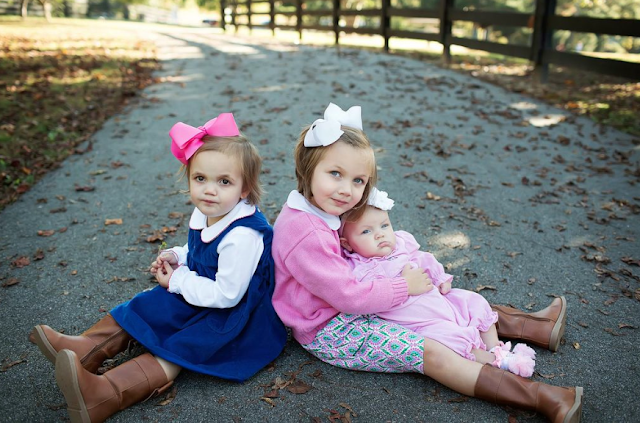 there's nothing i love more than seeing my little girls wearing precious clothing that keeps them looking like, well...little girls! in this day and age when skirts are shorter, blouses are tighter, and the children's section in a department store can resemble a 21+club, it's so refreshing to find items of clothing that keep my babies looking like babies and eventually the little ladies that i hope for them to be. so where can a momma find such clothing? 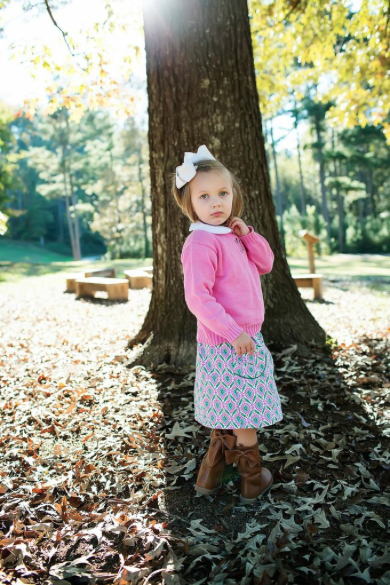 we adore little english clothing and their fall line is nothing short of perfection! little english offers unique smocked designs as well as appliquéd sets and baby items. little english clothing is traditional and classic, yet not skimping on the quality or comfort. 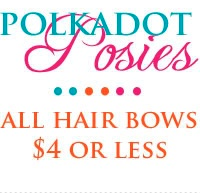 their clothing is perfect to take your children from playgroup to family portraits. i love that little english offers everything from the soft pima playsuits for baby to a-line jumpers for young girls. having three girls ages 4 and under, i like for my girls to coordinate, but i also like for them to be able to show their own individuality. and of course, comfort is important! 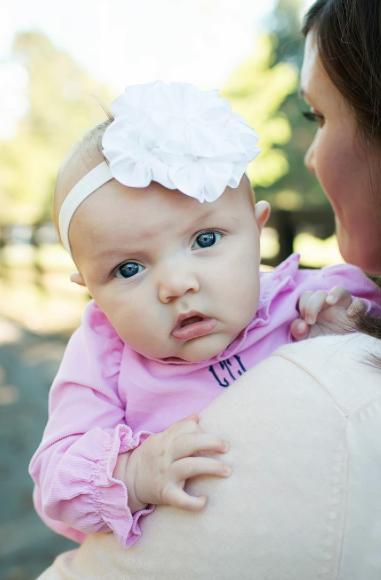 with little english, i can find a soft romper for liza, a precious dress for laney, and a skirt and sweater for libbi. each girl coordinates, yet they're still comfortable, and dressed in a style that suits their own personality. libbi is in the stage where she doesn't want to "dress like a baby" (break my heart!) 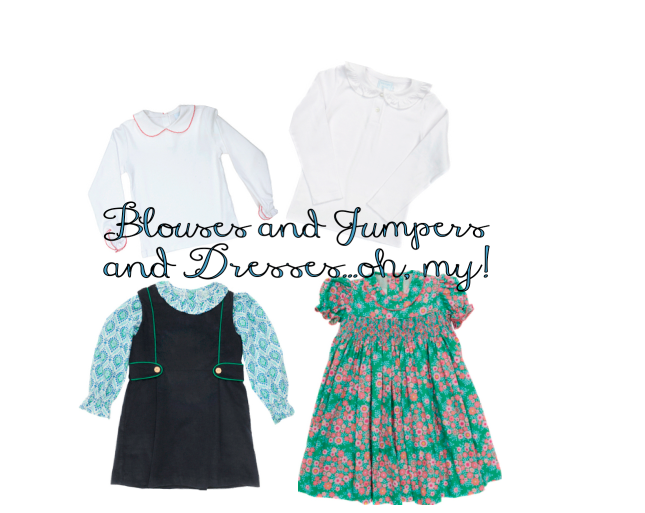 so i love the fact that little english has clothing that will please both of us! 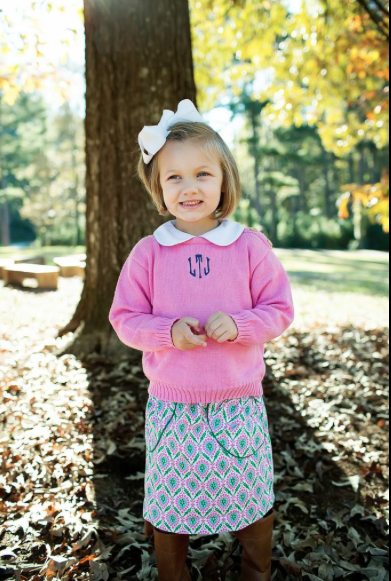 i'm happy with her monogrammed sweater and skirt because she still looks like a little girl and she's happy with it because she looks like a "big girl" - ha! win: win in my book. obviously, the party romper (featured on liza), the madison jumper and peter pan collar shirt (modeled by laney), and the pippa skirt and crew neck sweater (on libbi) are some of my favorite pieces from the little english fall collection. that's right, i said "some"....meaning there are plenty more that i adore as well! 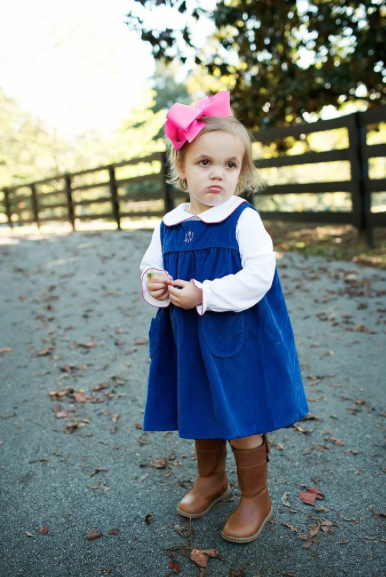 if you're looking for classically sweet, quality made clothing for your little ones this fall, look no further than little english!